All the way from Sao Paulo, Brazil comes THEE BUTCHERS ORCHESTRA,three young chaps who give you another view to Brazilian music, not the Sepulturametal view, more the lower-class dirty rock and roll view of one of the biggest andmost dangerous cities in the world. 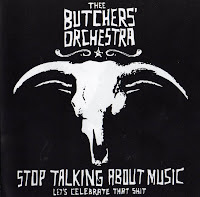 Having attained cult status there and in otherSouth American countries like Argentina, Uruguay, and Chile, THEE BUTCHERSORCHESTRA play tours and festival there and in the United States and now they are coming to your town. Strange rythms, noise, exotic seasoning, difusing melodies... that’s some of what you get when listening to the Brazilian three pieces, Thee Butchers’ Orchestra. 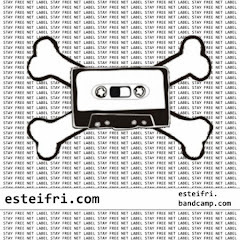 Two untamed trashy guitars and raw drums providing everything you need to shake your hips and jump around endlessly.